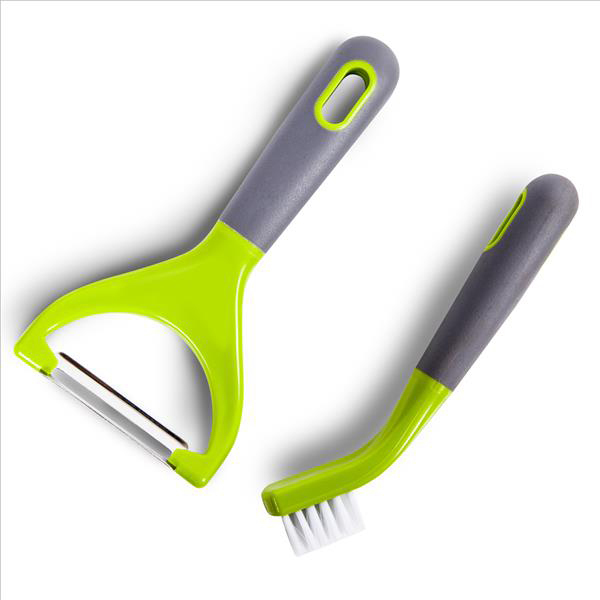 This matching peeler and cleaning brush set is great for peeling fruit and vegetables and creating julienne strips for garnishing. Featuring a high quality stainless steel julienne blade, ergonomic handle for comfortable grip and hanging loop for easy storage. The included brush is fantastic for cleaning ingredients, effortlessly removing any remaining residue and making food prep just that little bit simpler!